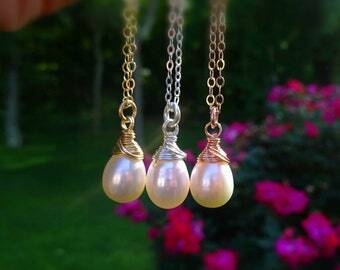 .A gorgeous pair of white iridescent keshi (Japanese for "poppy") pearls are elegantly wrapped for a beautiful finishing touch and suspended from simplistic French hooks. 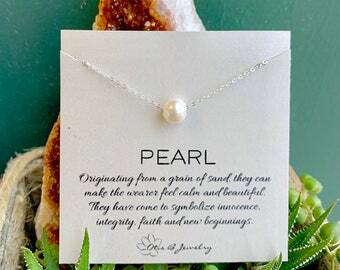 Keshi pearls are natural, freeform shaped pearls that occur when an oyster rejects its nucleus, creating a product that is more petal-like in shape than the more common round bead. 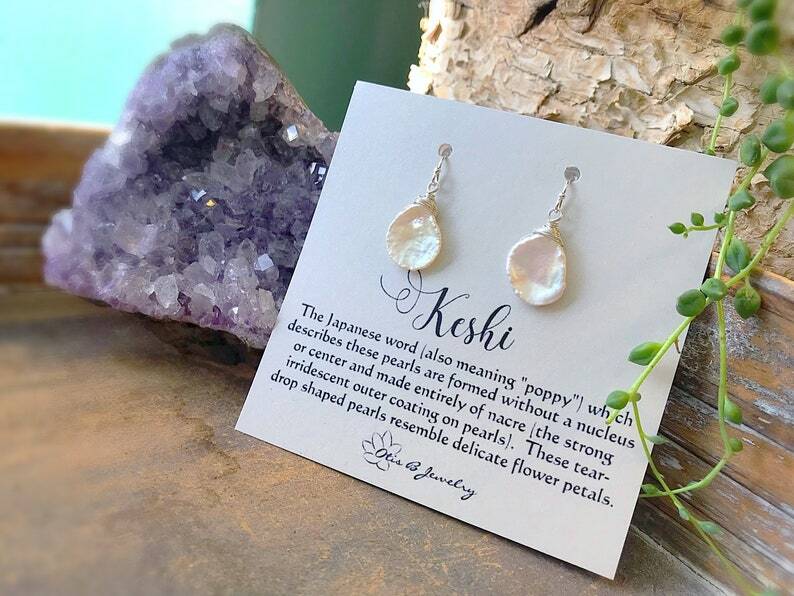 Keshi is a Japanese term for “Poppy” because of its resemblance to the petals of that flower. Silver version is 100% sterling silver, the gold version shown is 14K gold fill (NOT plated) and safe for wearing every single day.